Review: For twelve seasons, actor and presenter Joel McHale supplied sarcastic quips and consistent giggles on his E! channel comedy series “The Soup”, itself a revamped spin-off of the network’s prior franchise “Talk Soup.” With his trademark sardonic charm, McHale lampooned and poked fun at popular culture, taking a specific aim at television and news media. And it was a fantastic bit of low-budget and even lower-brow fun with a simple format- show some clips and crack some jokes. Unfortunately, all good things must come to an end, and “The Soup” was cancelled during the 2015 Holiday season. Now all that being said, there is definitely going to be a bit of a transition. And I can already see the unease in the early reviews here that are lambasting the show for its faults. It’s been a couple years, guys. Don’t dismiss the show due to a slightly rough-around-the-edges pilot. McHale and the writers are clearly getting back into the swing of things, and you can already tell they’re all having a blast and that it’s gonna get better and better as it goes along. A few mistimed gags in the first episode aren’t enough to derail the whole experience. 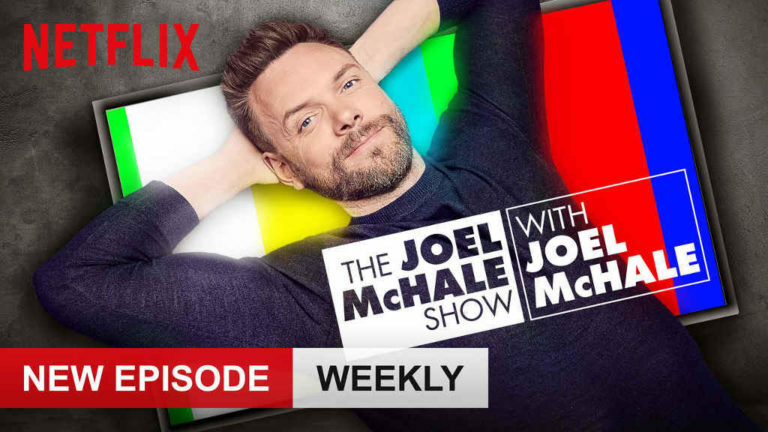 As a longtime fan of both McHale and “The Soup”, I had an absolute blast with “The Joel McHale Show with Joel McHale”, and I’ll definitely be tuning in every week to see what they have up their sleeves next. I’m giving “The Joel McHale Show with Joel McHale” a very good 8 out of 10. It has plenty of laughs to go around, and I can’t wait to see the next episode.